Red Headed Racism Rears its Ugly…. You are here: Home / Student Life / Red Headed Racism Rears its Ugly…. They’ve always been the object of ridicule. And at Penn Manor it is no different as this bold but small group of students has experienced an age-old prejudice against them or, more exactly, their hair color. Red. Orange. Auburn. Carrot top. Red heads tend to stick out because of their pale skin and auburn to orange hair. You can pick one out a mile away. They’ve been discriminated against for centuries. During the Dark Ages, Gingers were abused and sometimes even killed because the color of their hair was considered to be evil. The question is, why? Apparently there are different species when it comes to red heads. Kara Overmeyer's red hair makes her stand out in a crowd. Photo by Brandon Schuman. When people refer to “Gingers” they are talking about people with very bright red hair, pale skin like that of a polar bear, and freckles that look like a child’s connect the dots game gone wrong. They are also known as the pure bred. The term Day Walker pertains to red heads, however do not have all the characteristics as a Ginger. They either have just the reddish hair, pale skin or freckles, not all three. Red heads, Day Walkers and Gingers all throughout the world have to deal with discrimination just because the color of their hair. Penn Manor is no different. “There have been some instances of emotional bruising,” said Penn Manor senior Ginger Aaron Sellers. Sellers claimed he has heard fellow Red Head Joey Jackson called “Ginger Jackson” by a teacher whose identity will remain anonymous due to possible repercussions. Gingers are also accused of having no souls. Hundreds of years ago, red heads were considered to be “of the Devil.” Even an episode of Comedy Central’s South Park, made fun of red heads, depicting them to be, in fact, soul-less. Anonymous also states that he/she has witnessed Jackson and Sellers being treated maliciously and abusively solely based upon the fact that they have red hair. Red heads of all shapes and sizes get abused during the school day. 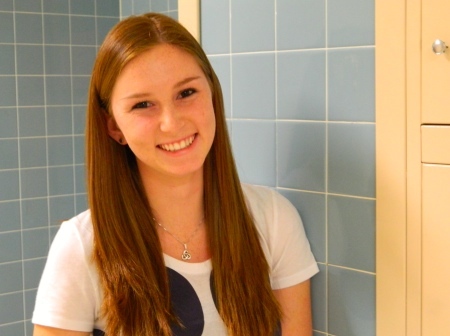 “I’ll bring the hammer down if I see Gingers getting harassed in the school,” said Dutchess. This discrimination needs to come to an end. We as a people cannot move on unless we all get along. @Lik Miass, as a plighted Ginger I have waited years for my story to be told. If you have something interesting to write about, write it. Excellent story. Definitely worth my time. This is ridiculous. This article might as well be racist, why dont we write a page about the n word.